This moated fortified historic castle is near Banbury and whilst the gardens are not extensive this is a great day out. 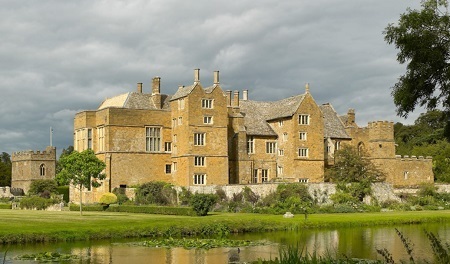 The garden at Broughton Castle near Banbury faces predominantly south and west and is surrounded by a three acre moat. 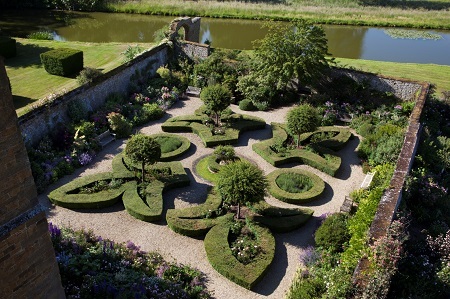 It consists of a number of long mixed shrub, rose and herbaceous borders together with a walled formal garden. 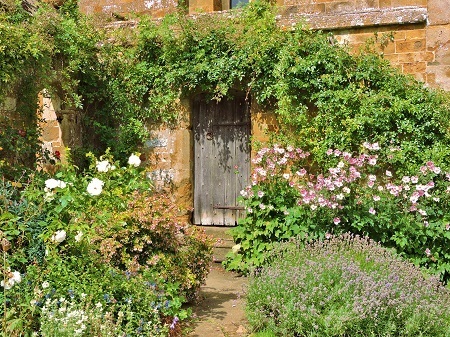 The ruined walls of the medieval castle kitchens provide shelter for the beautiful Ladies Garden, set out with fleur-de-lys box hedges, many rose varieties, and climbers. 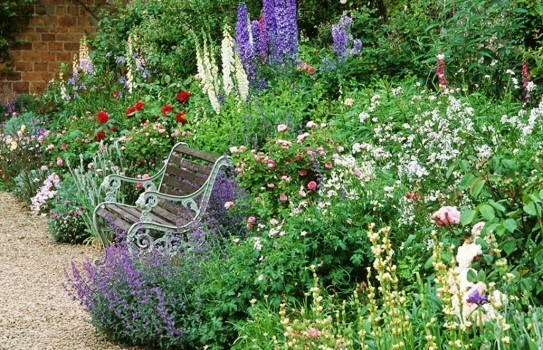 The herbaceous borders consist of both annuals and perennial including Allium, Philadelphus, Peonies, Campanulas, Aconitums, Delphiniums, Foxgloves and lavenders. 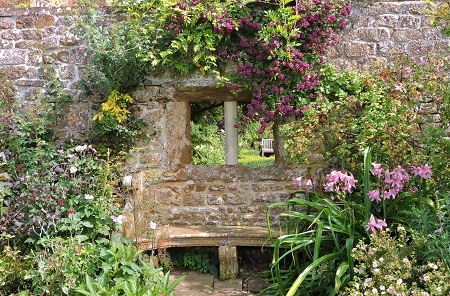 The planting was developed by the present Lord and Lady Saye and Sele and is based on advice given by the garden designer Lanning Roper in 1970. Opening times 2018 - from 2 April - 2 afternoons a week and various bank holidays see website.